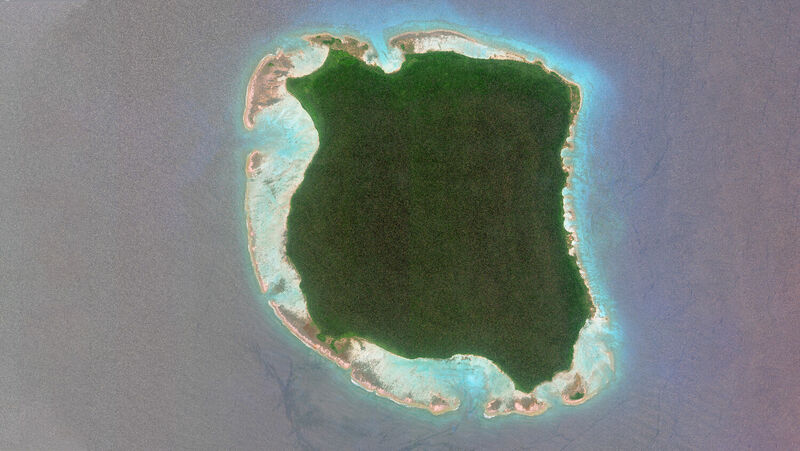 On November 21, a missionary named John Allen Chau paddled his canoe to the quiet beaches of North Sentinel Island. He was there to bring, in his mind, the word of God to the inhabitants of the remote island. He would not return. North Sentinel Island sits in the Bay of Bengal, hundreds of miles from India’s coastline. The island forms part of a larger archipelago. The Indian government restricts tourist access to the region. And for good reason. North Sentinel is home to the Sentinelese—one of the most dangerous tribes on Earth. These islanders are one of the last remaining tribes that vehemently reject contact with the outside world. Due to their isolation, the inhabitants have their own unique language. Their weapons and tools are made from washed up scrap metal. They have their own way of life, and they defend it violently. This didn’t stop Chau, who was determined to make contact with the tribe. The fishermen who towed Chau’s canoe to the island were later arrested. They explained what they saw. According to reports now in the New York Times, Chau tried to land. He was turned back by a hostile reception of arrow-fire. He tried again two days later. Chau made it to shore and approached the tribesmen. What seemed inevitable, happened. Chau was struck and killed in a flurry of arrows. His body was then dragged along the beach by a rope tied around his neck. His remains have not yet been recovered. It wasn’t the first time such a murder has taken place. In 2006, two fishermen accidentally drifted ashore. They too were massacred. Due to its statehood, no charges can be laid against the islanders. The tragic event has led to some people calling on the protection of the Sentinelese “culture.” Chau’s efforts were a “misplaced adventure” that should never have happened. Yet the islanders are managing to do so by themselves: A recent Indian census estimates the population has plunged from 117 a century ago to 39 today. To dissuade adventurers, the Indian government has made photographing these people illegal. The grainy pictures that have surfaced depict naked or loin-clothed natives. They are often brandishing spears, bows and arrows, and using simple canoes. Although little is known of their culture, these images paint a picture of a primitive life. It is incredible to think that such a backward lifestyle still exists in tandem with a world full of astounding advancement. Take Thanksgiving, for instance. A single family meal on this annual holiday likely contains more variety than someone on North Sentinel Island has tasted in a lifetime! As we hunt for the right-size turkey or that pumpkin pie recipe, a Sentinelese forager literally hunts for food. He has never been to, let alone even imagined, a supermarket. We dine in comfort with family and friends, the temperature regulated by air conditioning. The Sentinelese, meanwhile, live in thatched huts. At the end of the day, our guests drive home in their cars—reaching speeds never thought possible by those living remotely in the Bay of Bengal. As we drive, we listen to music or perhaps tune in to the latest Trumpet Daily Radio Show. What a different life we lead! Imagine taking a Sentinelese islander and putting him in downtown Manhattan, which is roughly the same size as North Sentinel Island. Imagine the reaction. What would he think of the skyscrapers? The cars and trains? The planes overhead? The day-to-day things we take for granted would be almost beyond belief for him! But as it stands, the Sentinelese know no differently. They certainly seem content in their lifestyle. But how thankful are we as recipients of the incredible blessings of modern civilization? Whether we’re American or not, this time of year is as good as any for considering our blessings. Put yourself in the shoes—or lack thereof—of the Sentinelese. Consider the incredible world we live in. Could we, perhaps, be more thankful for the comforts we enjoy? “Certainly a lack of gratitude is one of the most prevalent, if not the most terrible, of sins,” Herbert W. Armstrong once noted. “Few have learned to really appreciate what they have. Most are prone to accept the good things by taking them for granted, failing to give thanks. We gripe about our complaints more than we count our blessings” (Plain Truth, April 1962). The Bible prophesied that ingratitude would be a common attitude in the end time. “This know also, that in the last days perilous times shall come. For men shall be lovers of their own selves, covetous, boasters, proud, blasphemers, disobedient to parents, unthankful, unholy” (2 Timothy 3:1-2). God also warned ancient Israel not to forget where its blessings came from. The same applies today! “Beware that thou forget not the Lord thy God, in not keeping his commandments, and his judgments, and his statutes, which I command thee this day: Lest when thou hast eaten and art full, and hast built goodly houses, and dwelt therein; And when thy herds and thy flocks multiply, and thy silver and thy gold is multiplied, and all that thou hast is multiplied … and thou say in thine heart, My power and the might of mine hand hath gotten me this wealth. But thou shalt remember the Lord thy God: for it is he that giveth thee power to get wealth, that he may establish his covenant which he sware unto thy fathers, as it is this day. And it shall be, if thou do at all forget the Lord thy God, and walk after other gods, and serve them, and worship them, I testify against you this day that ye shall surely perish” (Deuteronomy 8:11-13, 17-19). How few consider the real origins of our wealth and prosperity. We owe everything to God. That doesn’t just mean our many physical blessings. It includes the spiritual, too! Think of your Bible—the foundation of all knowledge and understanding. The very mind of God in print. How often do we thank God for that? John Chau carried a Bible with him on that tragic day on the beach. He wanted to take it to the isolated people on North Sentinel Island. The sad irony is that most of the people where he came from do not understand this book either. We owe God thanks that we don’t have to live in the stone age. America and Britain—the greatest examples of material wealth—received those blessings from God Himself. It was prophesied in your Bible! You can read more about this in our free book The United States and Britain in Prophecy, by Mr. Armstrong. If our nations understood these things, how differently would we observe Thanksgiving day? There would be less gluttony, less materialism and a whole lot more appreciation! But you, the reader, can understand. Whatever your personal circumstances, God wants to bless you. How thankful we should be for our lives today and the eternal future God is offering us!